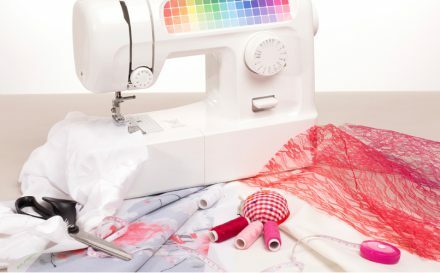 Whether you are an accomplished sewer or a novice, knowing how to sew stretchy fabric is a key skill that will help with a wealth of sewing projects. It’s no secret that sewing with stretchy fabric can be somewhat of a challenge (some people find it downright scary!) Stretch fabrics tend to make up a huge majority of people’s wardrobes. They are comfortable, easy to wear and require minimal care. Knowing how to sew stretchy fabric will give you the confidence to push your sewing skills, and, trust us. It isn’t as hard as you might think. 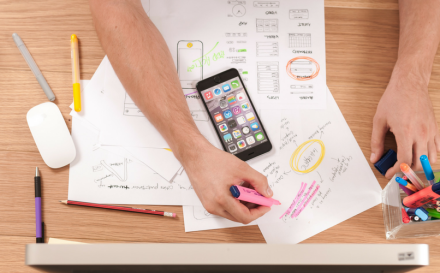 Stretch fabric is a generic term for any textile; knitted or woven, that has a greater amount of recovery and stretch than is normally expected. These textiles can be stretch-woven fabrics, single knits, some double knits, and even bias-cut fabrics. Most stretch fabrics are knits. Jersey fabrics make up a large percentage of this group. The most prominent feature of these stretch fabrics is their 4-way stretch. This means they stretch both crosswise and lengthwise. There are some stretch fabrics – usually heavier ones – that only have a 2-way stretch. Therefore, it is vital to make sure you check you are using the right kind of stretchy fabric for your project. What can stretchy fabric be used for? People love wearing stretchy fabrics thanks to their innate ability to move and grow with us. They are soft and comfortable and are perfect for keeping up with an active lifestyle. Can I learn how to sew with stretchy fabrics with my home sewing machine? 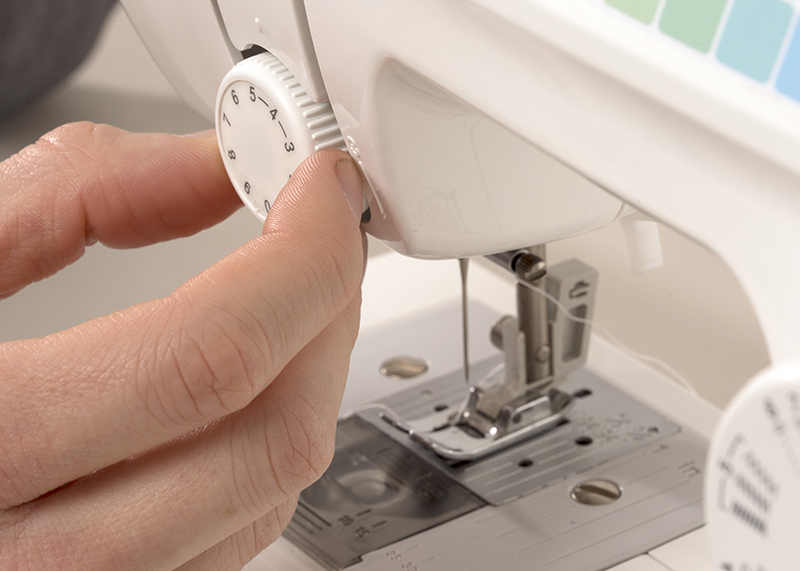 A common misunderstanding about how to sew with stretchy fabrics is that you need to serger. 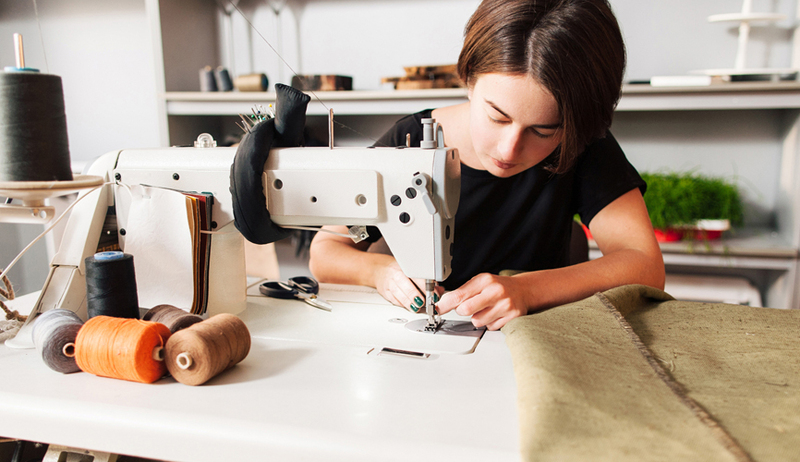 Overlockers or sergers are wonderful at handling stretch fabrics and creating a polished finish, but are they always necessary? Although a serger can make it quicker to sew with stretchy knits, it is a costly addition to your sewing machine. It is also not imperative for sewing with stretchy textiles. 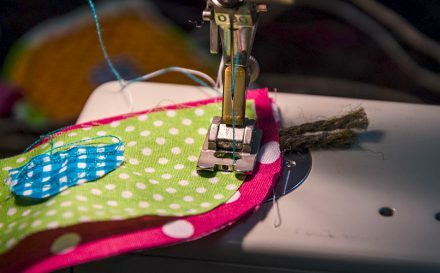 A zigzag stitch on a standard sewing machine can be used as an alternative to a serger. The difficulty some people might find with sewing stretchy fabrics comes from the amount of stretch that certain fabric might have. It is important to factor in the percentage of stretch in your chosen fabric, and that it matches the pattern you are working with. By following a few simple tricks and tips, your knowledge of how to sew stretchy fabric will sky rocket. 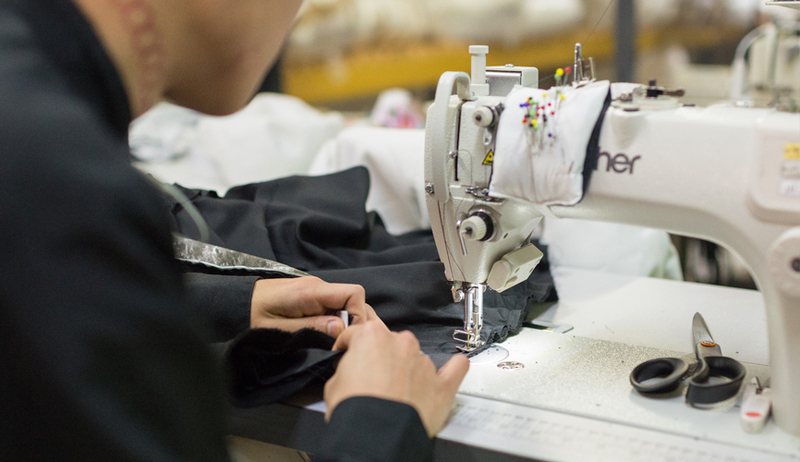 Ensuring the finished seams lie neatly and flat and at the same time don’t break when the garment is used is your endgame. Choose the right needle – all stretchy knit fabrics should be sewn with a special needle; either a ballpoint or a stretch needle. A ballpoint needle consists of a rounded tip, which pushes the yarns away when sewing. It avoids damaging knit fabric while cutting and sewing. This contrasts with the usual piercing through and ripping them. Ensure you opt for the right size of needle for your fabric. Use stitches that will hold the stretch of the fabric – the stitches need to stretch with the fabric, so they don’t pucker and break. If you must sew with a straight stitch, then hold the material taut, but don’t pull it. Take your pattern and place it on the fabric – to keep your fabric in place, pin it and cut out the patterns with scissors OR use paper weights and a rotary cutter. TOP TIP: Part of understanding how to sew stretchy fabrics is to have patience. 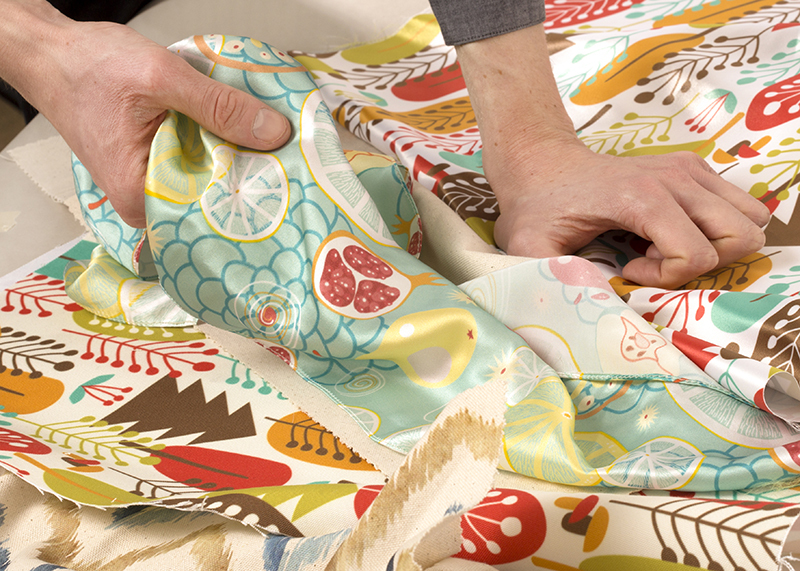 It is super important to take your time when sewing these fabrics. Pause occasionally with the needle down, so you can readjust the alignment of the raw edges of the material. Don’t rush it! TOP TIP: If you are planning on stitching buttonholes in a stretch fabric, we recommend sewing in the direction of least stretch. This can be difficult with a 4-way stretch fabric, but test all sides to see if one has slightly less give. Stabilise the wrong side of the fabric first with fusible interfacing. This should give you beautiful and stable buttonholes. 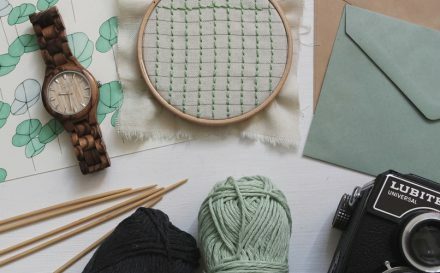 We hope these top tips for how to sew stretchy fabrics will give you the confidence you need to get stitching with knits! Now that you have mastered the skills, why not discovering all different kinds of stretchy fabric? Click on the button below to start discovering.